T minus 3 days and counting until Christmas! Are you all ready? I can actually say that I am ready. Wow. No, really. Wow. That doesn't happen very often. So now I can sit back, relax and enjoy all the Frugal posts you are sure to amaze me with this week! But to get things going, let's recap last week's party, shall we? 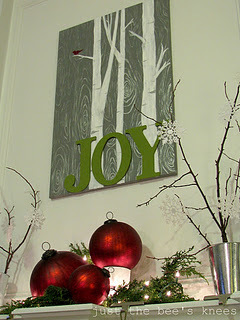 First up, last week's Fan Favorite was Salvage Savvy's post about adding Christmas cheer to your windows. 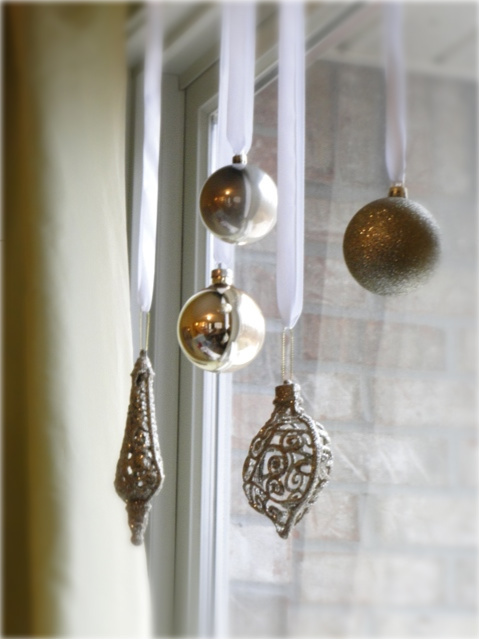 I love to hang ornaments in my windows...so pretty. 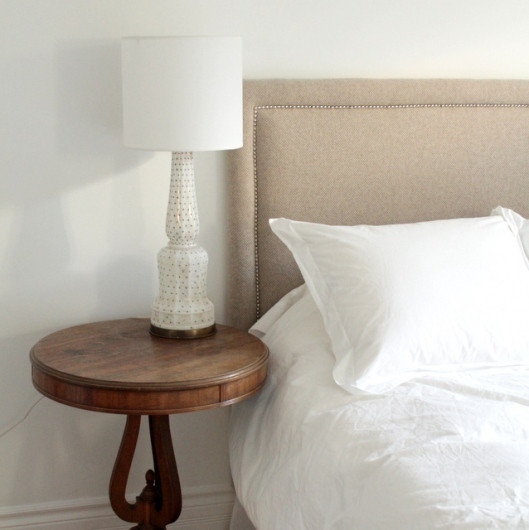 Sweet Suite 10 shared her pretty DIY upholstered headboard. Love the nailhead trim. It gives the whole thing just the right touch! Just the Bee's Knees shared her custom holiday art. I love this bright and cheery art. And she gives us the process she used to create it! Two Thirty-Five Designs shared her Fish Scale Wall. I am amazed by the patience this must have taken, but What A Statement it makes!! 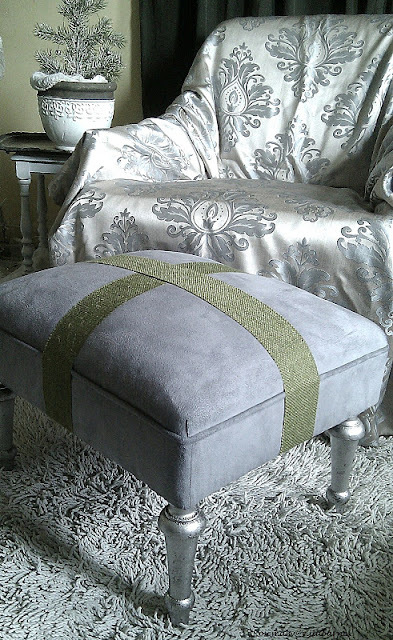 Finally, Villabarnes shared her gift wrapped ottoman. Such a simple idea for a big holiday statement! Thanks so much for hosting, I hope you have a wonderful Holiday! Have a fabulous holiday and new year! Hope you have a Merry Christmas Wendy! What a nice surprise. Thanks so much for featuring my ottoman. I enjoy sharing at your party. Thanks for hosting. Merry Christmas! Thank you. I can finally link up again. No more internet explorer crashing. I hope you get to see my Christmas Stairs. Hi Wendy! Thanks so much for the party. Merry Christmas! Thanks for the party once again Wendy. Have a wonderful Christmas! aww, thanks for featuring my fish scale wall art!!! I greatly appreciate it!! I've been blogging since about September - what do we do after Christmas? (that's mostly rhetorical) I'm not ready for Christmas to be over yet - it seems like the posts get better every week! Thanks for hosting, and I hope you have an amazing Christmas! Happy Holidays, Wendy! I shared a 4 o’clock walnut cookies recipe, a Hungarian liptauer cheese recipe, and a carnival style caramel corn recipe today. Thank you for hosting us again and have beautiful holiday! Thanks so much for featuring my art!! Have a very Happy Holiday! !